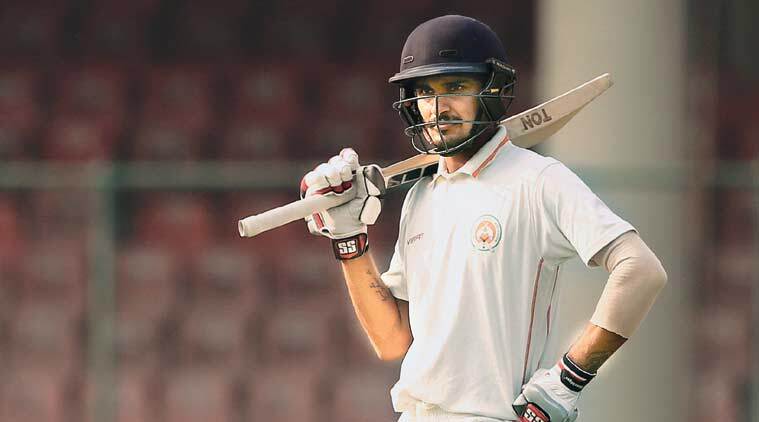 Deepak Hooda Wiki | Biography| Height| Age| Weight| Girlfriend| Stats| Profile| Family: Deepak Hooda is an Indian cricketer, he was born on 19 April 1995 in Rohtak, Haryana, India. He is a right-handed batsman and a right-arm off break bowler. Deepak Hooda is the second youngest player to be a part of the IPL matches. He scored the fastest half-century for the Rajasthan Royals in the IPL 2015. He plays his first-class cricket for Baroda and he has also played along with Hardik Pandya. Deepak is a brilliant player and for his all-rounder performance in the Vijay Hazare Trophy 2014-15, he won the Lala Amarnath Award. He was bought by Sunrisers Hyderabad for a price of 3.6 crores in the IPL auction 2018 for this season of the IPL using their Right To Match Card. Here is the full Bio(Wiki) of Deepak Hooda, his family/ mother/ father/ brother name, age, height in feet, weight, body measurements, interests/hobbies, school, coach, bowling speed/stats, his twitter, facebook, Instagram, earning /income/net worth, his real name, girlfriend, birthday, zodiac sign, education, caste, religion, Date Of Birth , IPL team and price. Records (main ones) • 2nd Youngest Player in IPL 8, after Sarfaraz Khan. • 2nd highest scorer and 2nd highest wicket taker in 2014 U-19 World cup. • After Snehal Parikh, he is the only Baroda batsman to score a hundred on first-class debut in the 2014-15 Ranji Trophy. Career Turning Point Performance in the Vijay Hazare Trophy 2014-15.